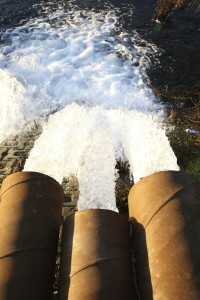 In an era conscious of water scarcity, the water-energy nexus made the agenda of the Senate Energy and Natural Resources Committee, which is considering broad based, bi-partisan legislation, the “Energy Policy Modernization Act of 2015.” The nexus between water and energy refers generally to the fact that the provision of water and wastewater services tends to be highly energy intensive, while most types of power generation tend to be highly water intensive. Both the Senate and the House made progress on their respective updates to 2005’s Energy Policy Act this week. The general press has focused mainly on the fact that the long-term ban on oil exports was not lifted (which doesn't necessarily mean a lift of the ban is dead). However the absence of support for renewable distributed energy resources was equally stark in the eyes of renewable energy advocates.